Google+ Mom to 2 Posh Lil Divas: Frozen Paint Art - COOL Fun on a HOT Day! Frozen Paint Art - COOL Fun on a HOT Day! My big girl starts Kindergarten in 2 WEEKS! Yikes! Although school may be starting - summer is as HOT as ever! the Lil Divas were sad to see it end! 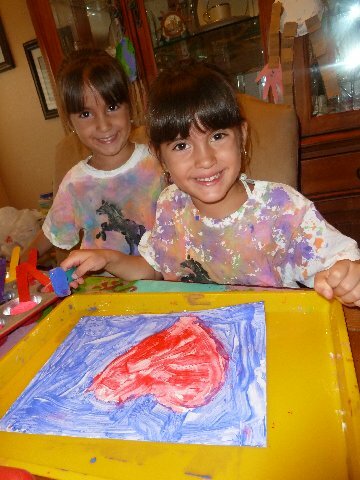 since the last time we ended up with melted paint trying to transport it in this heat! I poured tempra paint into an ice cube tray. 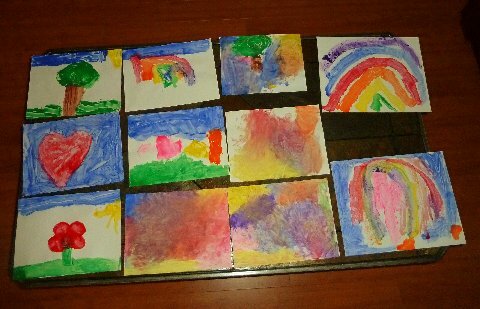 The Lil Divas opted for rainbow colors. I did not dilute with water as we wanted bright and bold colors for our paintings. I put the paint in the freezer for about 20 mins and let it begin to harden. 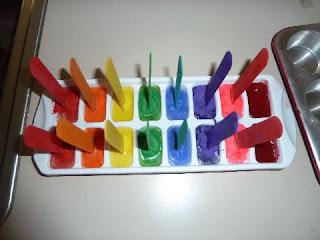 Then I added the popsicele sticks (so they would remin firmly upright) and let the paint freeze overnight. The next day we had our frozen paint & were ready for some fun! The frozen paint lasted a nice long time since we were working indorrs. 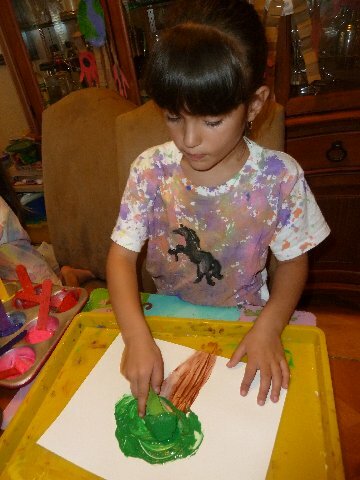 My Littlest Diva could not resist getting in some fingerpainting. This really is a fun & easy project that is suited to many age levels. I know we will be visiting this again sometime soon. 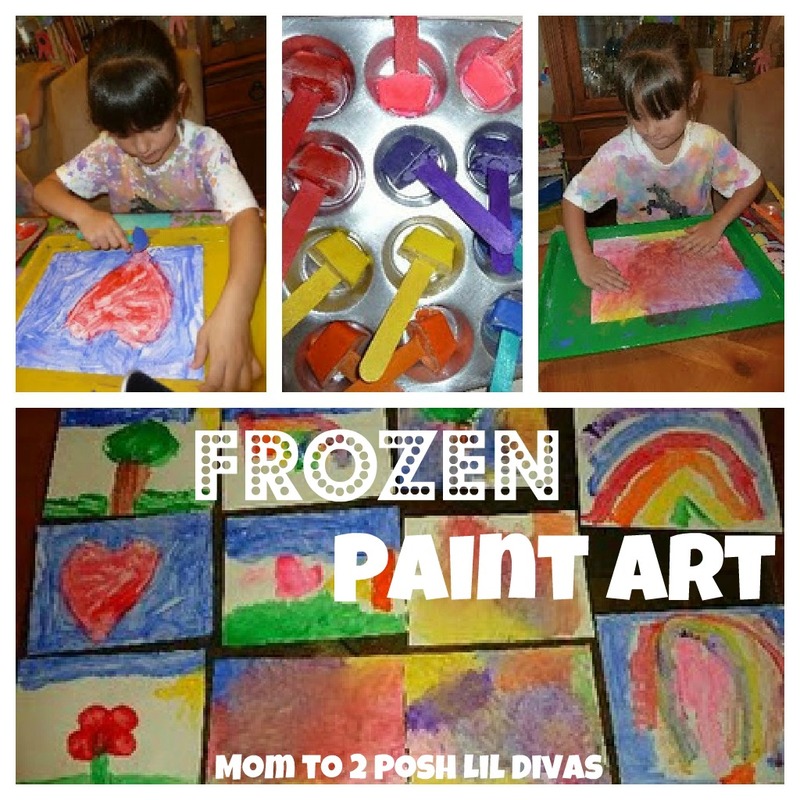 Just look at all the great Frozen Paint Masterpieces the Lil Divas created! Frozen Fruit Pops. I blended some mixed berries & yogurt and froze it in small dixie cups w/popsicle sticks. YUM! These were a hit & we have made several batches since. This is a great idea! My girls would love this :) Thanks so much for sharing! This is one of the projects on my "must do" list! It looks like tons of fun! 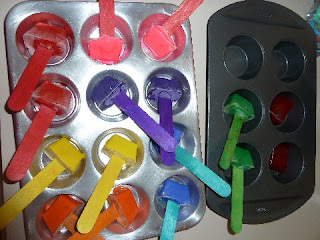 I saw frozen paint on pinterest and I have some waiting in the freezer to try!! 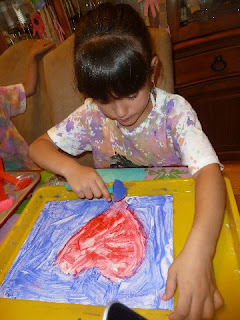 I do love the idea of using actual paint (I used water and food coloring) and adding a stick. It looks like a lot of fun, and I cannot wait to try this with my girls! Oh awesome! Yet another cool project from one of the most creative Moms I know!! That is such a neat idea! I have never or heard of that before! I love the collection of art the lil divas created! 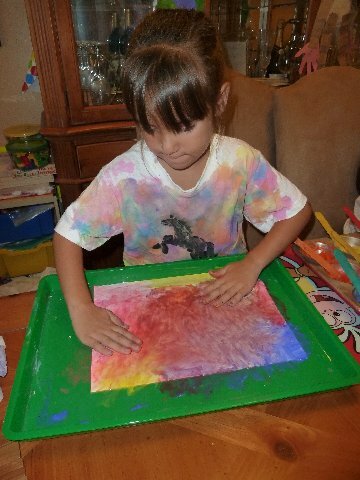 We made paper towel impressions on the ice cube painting. What great pictures. You lil divas are quite the artists. And such a cool idea. I have never heard of frozen painting before. Painting with ice - what fun fun fun!! And all your pictures turned out so prettily! I love this idea. Thanks! And, where did you get those cool trays? Do you mean the trays the girls are working on? I found those at Michael's Craft Store & seriously they are the BEST thing I ever bought! We use them every single day and they save me on a ton of mess!!!!! This is soooooo cool! Frozen paintsicles. 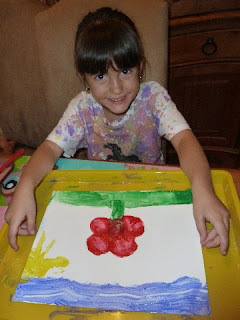 This was such a fun activity and my only prep was freezing some paint! Gotta love that!